Do you want to take custom screenshots of the screen without using Prtscn button on keyboard? In-built feature of Snipping tool makes this an easy and quick routine. It allows you to neatly capture any part of the image that is visible or displayed on the desktop screen. 1. Click on Start and type in “Snipping tool“. A tool will open on your window. 2. Click on New and select the portion of the screen you want to take the snapshot. 3. A new window with the captured screen will open from where you can save the screenshot at the desired location on your PC. 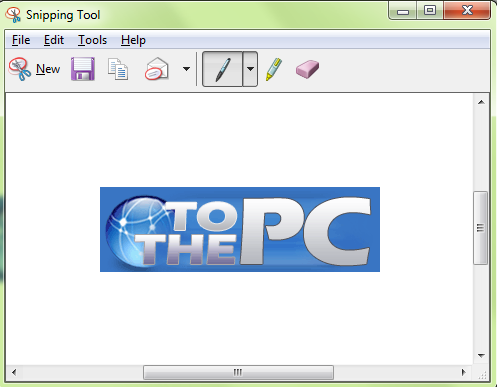 Taking screenshots made easy on Windows 7 system courtesy of Snipping tools. For sure a neater and easier methods to capture screenshot as against good old print scrn method, what say? – in Vista and Win 7 you can make screenshots, using only 2 buttons.